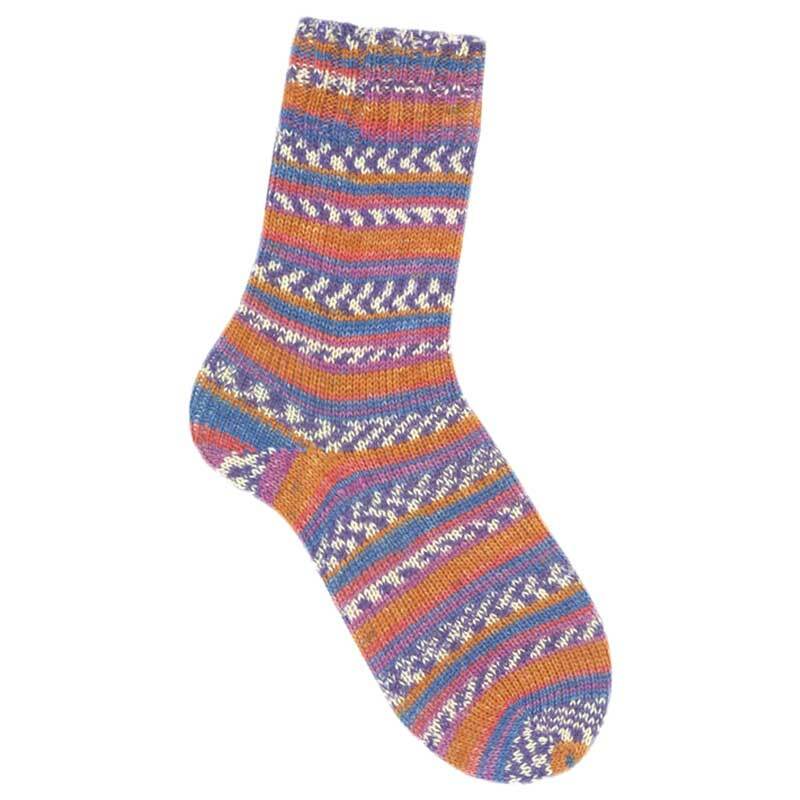 Austermann Step 323 is a 4 ply sock yarn producing fairisle stripes and bands of blended colours and is infussed with jojoba and aloe vera oil for extra softness. 75% wool/ 25% nylon mix. 100g ball, 460 yards, 2.5-3mm needles.